Bookbaby has come a long way since it cut their teeth doing yet another self-publishing platform. The company has been ironing out their PR and Marketing campaigns for authors who ask the question “How do I get my book reviewed? Who are my local press contacts? Where do I begin with my promotional campaign? 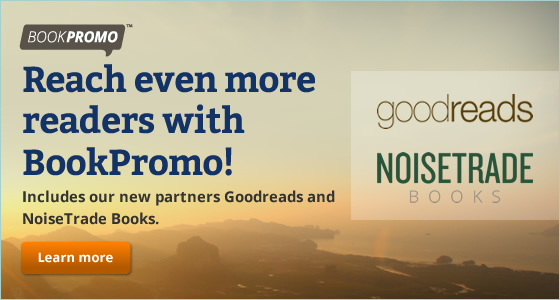 Most importantly: How do I let people know about my book?” One of the new components to this deal is book discovery by GoodsReads and NoiseTrade. Bookbaby is a for profit self-publishing company that has a myriad of options to allow authors to publish and get distributed. They have various tiers of fees, dependant on an authors technical level to generate eBooks from documents or more advanced knowledge. One of the new programs the company has unveiled recently is Book Promo. Book Promo is a set of tools that an author can employ to assist in marketing and PR. It is available with the FREE tier of publishing and also with any of the paid options, so it is worth checking out. A few of their key selling points are; Guaranteed book reviews with Readers’ Favorite and Story Cartel, Promotion through PR Newswire, Author Marketing Club, and WriterCube, and an Exclusive guide: Ultimate Social Media Marketing for Authors. Authors are normally faced with the situation of wanting to build their own marketing list or giveaway free eBook samples. Bookbaby kills two birds, with one stone with NoiseTrade, which allows authors to give away their content for free in exchange for readers’ email addresses. I have followed Bookbaby throughout the years when they were first known as CD Baby, and have tracked their company from when they started publishing, until now. They are a solid bunch of people who honestly love, what they do. Their service is good for first time authors or people that wrestle with the decision of publishing with Amazon or Barnes and Noble. Bookbaby basically is a better version of Smashwords, except they charge.